Earwigs are odd looking insects with pincers, or forceps, that protrude from the abdomen. Although tiny, only 6-25 mm long, depending on the species, these insects can be very unpleasant to encounter. They have 6 legs, 3 body parts, and 2 antennae, and belong to the insect order Dermaptera. Along with their scary looking pincers, they also have a pair of wings that are membranous which fold underneath a pair of forewings. Immature earwigs (nymphs) resemble adult earwigs, but they do not have wings. Although they are not poisonous and do not spread diseases, they can be somewhat intimidating looking, and startling to encounter. Earwigs generally prefer wet areas which are cool and undisturbed and they can become a serious garden pest if conditions are correct. As long as there is enough ground cover, wet soil, and food for these insects, they will do very well. While it is a myth that earwigs crawl into the ears of sleeping humans, burrow into brains, and lay eggs, they can be a nuisance inside homes. These creatures don't bite people, but they can pinch with the pincers on their abdomen. These pincers can be used by earwigs for self-defense, but against humans, they are not much of a threat. Earwigs are not likely to pinch humans, and even if they do, it is unlikely that it will break the skin. Be aware that earwigs live in the ground and that they may have come into contact with harmful bacteria. If you come into contact with one, and you have an open wound, you may be exposed to that bacteria. If this happens, make sure to apply some kind of antibacterial ointment and cover the wound. Although earwigs are mostly harmless to humans and to human belongings, they can be an indication of bigger problems. If you have earwigs, you may carpenter ants, termites, or some other property-damaging pest. The presence of earwigs may be an indication of water damage in the structure of your home. When rain gutters are blocked or broken, water can run down the outside and create wood rot. Pests and rodents love wood rot because rotting wood is easy to chew through. Earwigs are moisture pests, so removing or reducing water and moisture outside and inside your home will go a long way in deterring them. Examine the outside of your foundation and walls and seal up any gaps, cracks, and holes you find. Use liquid cement or a caulking gun for a quick fix until you can have things professionally sealed up. This will help keep earwigs, and a whole host of other critters out of your home. Reduce the amount of moisture on your property and around your perimeter. Remove lawn items that hold moisture underneath, such as wood piles, construction materials, and leaf piles. Trim back vegetation from around your home. If you have mulch, consider replacing it with a dry material. Have a professional pest control company apply pest control methods to strategically resolve the problem. Install fans and/or dehumidifiers to reduce the amount of moisture inside your home. If earwigs get in and they find the environment dry, they will not feel welcome. Some go about getting rid of earwigs by treating the symptoms and not the problem. Sticky tape. This may catch some earwigs, but it will not resolve an infestation. Earwig traps. You may get some, but you're not going to get them all. Borax. This is safer than a sprayed insecticide, but it also will not get all the bugs. Getting rid of all of the plants in your yard. If you were to do this, not only would your yard probably look worse, but you could still have earwigs hanging around. 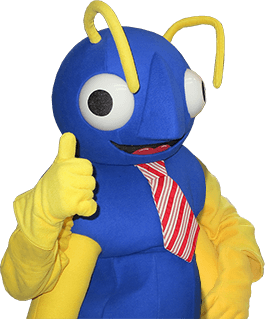 If you need help with an earwig infestation or any other household pest, the professionals here at Big Blue Bug Solutions are standing by to help. Reach out to us today to stop what's bugging you.